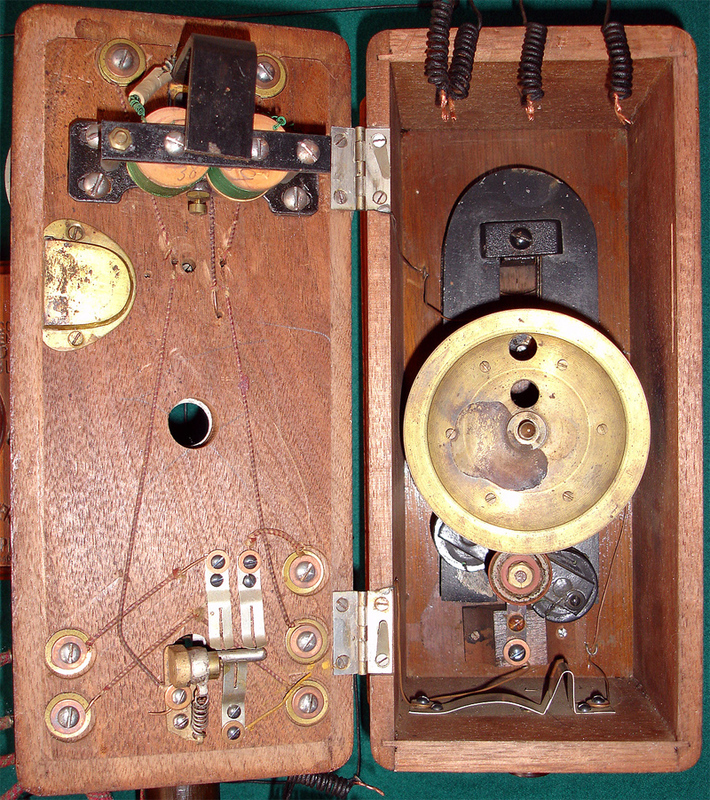 This set used the Watson polarized ringing system with the call bells and magneto crank on the outside of the box and mechanism inside. 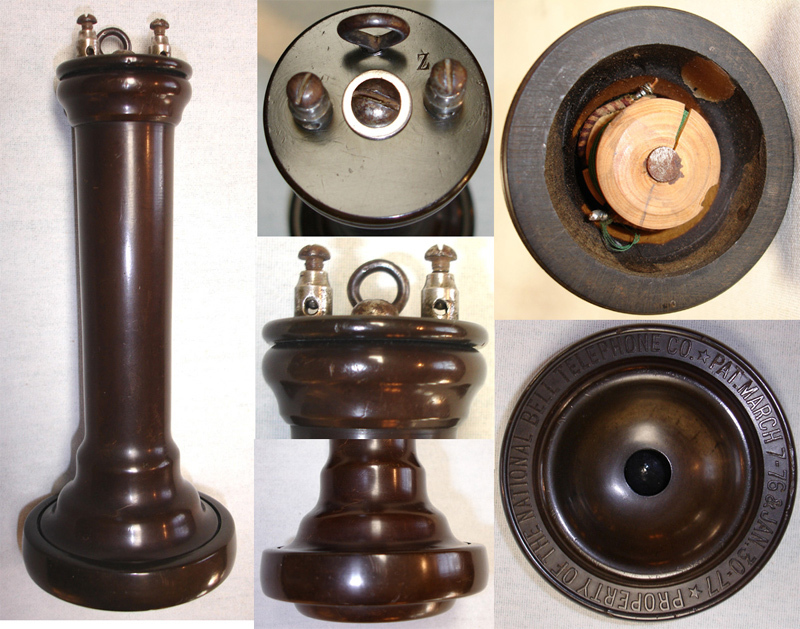 Just below the call bells is the saw tooth spark gap or "lightning arrester" used for electrical protection. The automatic switch hook below the magneto crank was used to transfer between the talking and calling circuit. The 1879 set was the first to use the Blake transmitter with a local wet-cell battery. 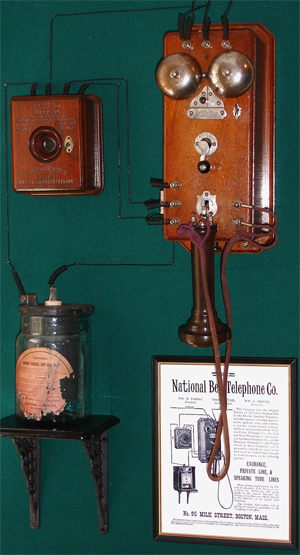 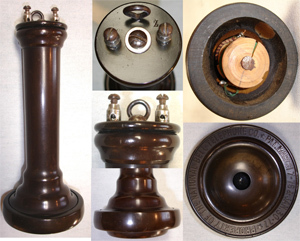 Note that the National Bell Telephone Co. only existed from March 1879 to May 1880.
see wood phones on eBay.